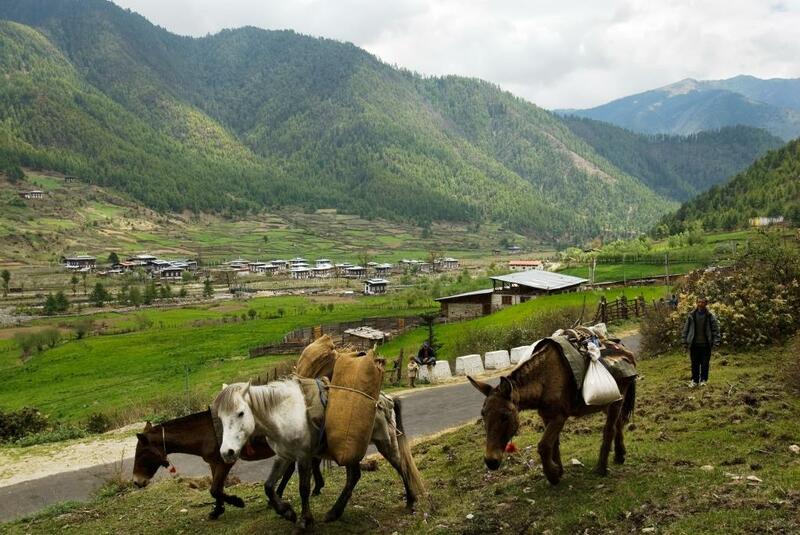 Haa valley in western Bhutan despite being only two-and-a-half hour away from Paro airport and having tremendous potential in terms of natural resources and cultural attraction had never been explored or reflected on Bhutan’s tourist map for so many years. Perhaps the strategic military location of the Dzongkhag and its restrictions discouraged tour operators earlier to explore its potentials. But a few years ago all that changed when Haaps (people of Haa) expressed interest and the need for tourism in the valley for socio-economic development. The valley has been blessed with rich natural biodiversity while its age old traditions have been preserved since time immemorial. With undisturbed ecosystems, the altitude in the valley ranges from 2000 – 5000m, and the vegetation comprise of broad-leaf evergreen forests, broad-leaf deciduous forests, coniferous forests, tropical grasslands, alpine and sub alpine grasslands and shrub lands. 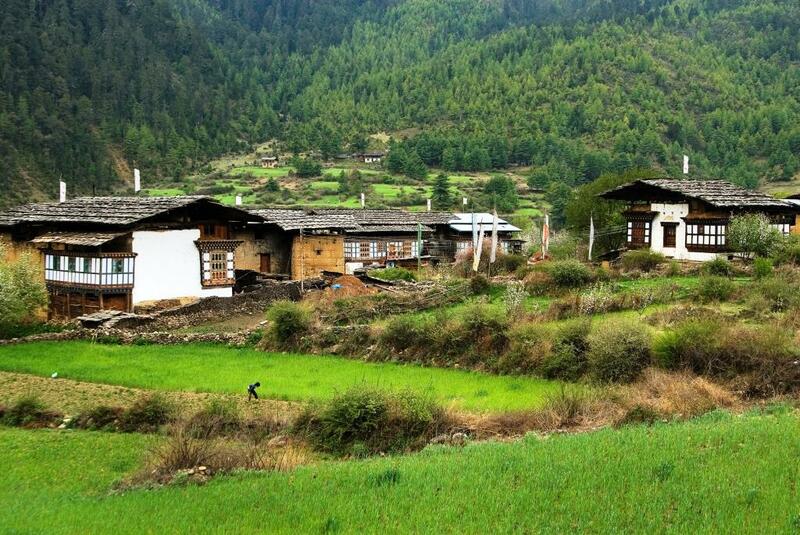 In terms of the diversity of flora, fauna and avifauna, the upper valleys of Haa alone have over 250 species of plants including the blue poppy (the National flower of Bhutan) and white poppy (Mecopnopsis Superba) which is endemic to Haa. Endangered species that dwell in the valley include the Bengal tiger, the elusive snow leopard, the Himalayan black bear, Himalayan musk deer, blue sheep, grey Langurs and the Himalayan marmots. Of the 45 different bird species identified, the ones that stand out as special are the chestnut breasted partridges, wood snipe, rufous-necked hornbill, Himalayan monal, blood and kalij pheasant and satyr tragopan. 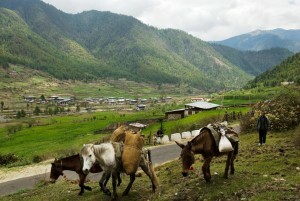 These pristine and serene natural resources and habitats provide trekkers a unique opportunity to explore the valley and also interact with nomadic yak herders and experience their lifestyle. Throughout the valley, there are sacred lakes scattered all over. Back in the day, Haa was the main commercial gateway to Sikkim, India and Chumbi in Tibet. So much so that the historic journey of Indo-Bhutan friendship opened through this route when the Indian Prime Minister Jawaharlal Nehru travelled to Bhutan in 1958 on horseback. 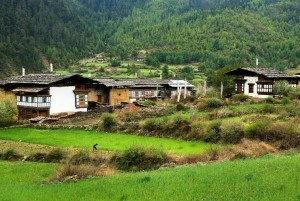 In addition, there are many ethnic festivals celebrated throughout the Dzongkhag. These include the annual Haa Tshechu, the traditional shaman festivals, Bongko festivals, the annual lomba festival and the fascinating Ap Chundu ceremony. Before the 8th century, Haa valley was controlled by Ap Chundu and many other local evil deities causing disaster and despondency for the local people. So when Guru Rinpoche arrived in Haa, he performed the Avalokitesvara ceremony whereby all the evil deities including Ap Chundu fell unconscious. When his senses had returned, Ap Chundu found himself turned into a turquoise colored boy prostrating before the great Guru. From there on, he became the most powerful protecting deity of Haa valley and the protector of the Buddhist doctrine.